With airlines still struggling to battle oil prices while trying to optimize their passenger traffic and route networks, aircraft manufacturers are faced with the demand for new, more cost efficient generation of regional aircraft. But the leading producers of regional jets are not the only ones that have decided to modernize their products: the new players from Russia, China, Japan and even India have joined in the race of manufacturing aircraft which would meet the new market requirements. However, common difficulties related to entering the market shouldn’t be their sole concern: the manufacturers of new regional aircraft will most definitely have to deal with the foreseeable aftermarket challenges as well. As many airlines are shifting to aircraft with higher capacities in search of lower costs we are definitely seeing an evolution process within the regional aircraft segment. Although, judging by the trends of the industry, the share of regional jets in the market will decline from 13% to 6% during the next 20 years, the overall number of regional aircraft in the global fleet continues to rise. This trend has been also recently confirmed by the latest Bombardier study. The manufacturer projects that until 2031 the fleet of 20- to 149-seat aircraft will grow by 51%. 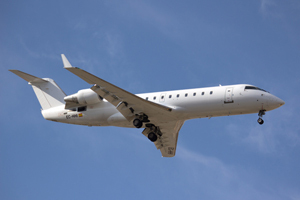 During the last few years the market of regional jets that has been dominated by such giants as Bombardier and Embraer has noticeably grown since at least three more countries have launched their own projects of regional aircraft. Such companies as Comac, Sukhoi Civil Aircraft and Mitsubishi Aircraft have put additional pressure on the segment giants by developing or already offering their clients regional jets like ARJ21, MRJ90 and SSJ100. Surely, competing with globally known manufacturers has its challenges, but where Bombardier and Embraer have the advantage of name, the manufacturers of new aircraft may have the reasons to claim that they are more technically advanced. For example, if the old players are just remodelling their older aircraft for new engines, the ARJ21 was designed especially for the PW1000G and the SSJ100 has been provided with a brand new engine, developed specifically for the jet. Such nuances certainly bring new dynamics into the market. Nevertheless, being more technologically advanced isn‘t the only aspect that is important. Although entering the market of regional aircraft has a truly big potential, the newcomers will have to face challenges, the creation of a global maintenance network being amongst the most important ones. After all, new players will have to develop a certain level of service to the newly introduced jets. The entire process of building a comprehensive service package takes time and requires extensive investment in both adequate infrastructure and the training of qualified service personnel. The manufacturers need to ensure that all the necessary maintenance facilities, engineering services and component supply chains are smoothly functioning before the new aircraft types enter the market.